The CMS' Hospital Readmissions Reduction Program is not increasing the number of observation stays, according to a new analysis of the program. Although several academic studies have found that the readmission program wasn't lowering Medicare spending and led to more observation stays, the Medicare Payment Advisory Commission said there is no evidence that trend exists. Readmission rates from 2010 to 2016 for heart attacks, heart failure and pneumonia all dropped between 1.4% to 3.6% saving Medicare $2 billion annually, according to MedPAC's analysis sent to Congress on Friday. Over that same period, the commission found only a small uptick in observation stays and noted that the increase did not offset savings from the readmissions program. Academic researchers claimed that hospitals were keeping patients in an outpatient observation status and not readmitting them to avoid penalties under the program. 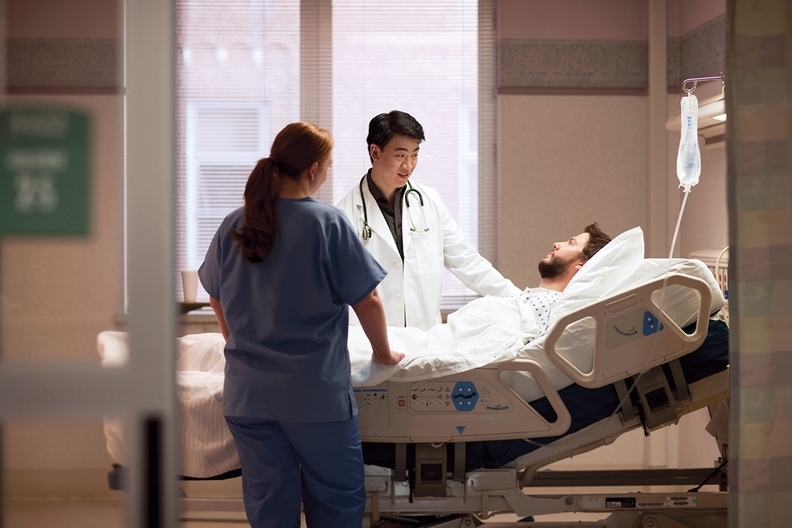 MedPAC found that patients who weren't recently admitted to the hospital experienced a similar increase in observation stays. "We conclude that the reduction in readmission rates reflects real changes in practice patterns and not simply a shifting of short-stay admissions into observation stays to avoid readmission penalties," MedPAC said in its report. Jordan Albritton, a senior statistical data analyst at Intermountain Healthcare who has analyzed the readmissions program, questioned the validity of the findings. MedPAC's analysis relied on observational studies that are prone to bias, Albritton said. His research used an analytical approach similar to a randomized controlled trial. "We found evidence that the (readmission program) does increase the duration and frequency of observation stays," he said. "The increase is small but significant." MedPAC's report also suggested that Congress should allow rural stand-alone emergency departments that are more than 35 miles from another ED to bill at higher outpatient rates. The commission called on Congress to cut off-campus, stand-alone EDs' reimbursements by 30% if they are within 6 miles of an on-campus hospital ED. That would put their payments more in line with urgent-care centers and physician offices, and those providers generally are not open 24 hours per day like traditional EDs. The rural proposal gained support from some clinicians. Some hospitals have viewed such stand-alone EDs as "gravy trains" that generate additional income off wealthier and healthier patients, according to Dr. Michael Brown, chair of the department of emergency medicine at Michigan State University's College of Human Medicine. Dr. Richard Zane, UCHealth's chief innovation officer and professor and chair of emergency medicine at the University of Colorado School of Medicine, slammed MedPAC's six-mile policy for stand-alone EDs. "The recommendation is arbitrary and capricious and doesn't seem based on any data," Zane said. His system opened 19 stand-alone facilities in the past decade, opening them in areas around that state experiencing population growth. "We're really addressing the needs of the population," Zane said. "If this recommendations is adopted, it will decrease access to emergency care."